Why Should Our Church Members Give? As Christ-followers, one way our faith is revealed is in our habits of giving. Establishing regular giving habits teaches us to put God first in our lives and to trust Him for our provisions. Giving is a form of worship. In Proverbs 3:9, we are called to honor God with our firstfruits. Proverbs 11:24-25 tells us the generous prosper. Being generous keeps us from worshiping our money. Malachi 3:8-9 tells us we are thieves and that we rob God if we do not tithe! In Malachi 3:10, God dares us to try and out-give Him. It's simply impossible. He loves us more than we could ever imagine. 2 Corinthians 8 tells us we ought to give generously, to excel in the grace of giving. Be a generous giver transforms us! 2 Corinthians 9:7 reminds us that God wants us to give cheerfully and not reluctantly. It is an honor to give God back a portion of that which He has blessed us. We shouldn't give because we think we have to. We should give because we want to thank God for His blessings. Tithing demonstrates our obedience to God, and the Bible shows throughout that God always blesses obedience. But the main reason we give is simple: We give because God first gave to us. John 3:16 tells us God gave His only Son so that we might have everlasting life. That Son, Christ Jesus, died for us while were yet sinners. What a gift! James 1:17 tells that every good gift is from Him. Because God gives so abundantly to us, we should give back a small portion of those gifts as a way to honor God, to give Him the glory, and to show our love for Him, and to say He is Lord over all aspects of our life---including our finances. As our members faithfully give, First Christian Church of Malvern is able to answer God's call and the world is changed for His glory. We are able to spread the Good News, help widows and orphans, feed people, love on the lost, grow disciples, support missionaries around the world, and create an environment in which people can come to believe in Jesus, belong to Jesus, and become more like Jesus. 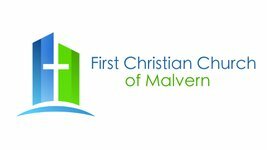 At First Christian Church of Malvern, there are a number of ways you can give your tithes and offerings. Each Sunday, we dedicate a small portion of our worship time to passing along a collection plate. You may place check or cash in the plate and pass it along. If you would like special offering envelopes to use during this time, please call the office at 330.863.1303. You may also set up an online "bill pay" service through your bank, and they can mail a check to the church for you, usually at no extra charge to you. One of the quickest and easiest ways for you to give is to do it on-line or on your phone. For this, you need to start by setting up an account with Tithe.ly. It is safe and secure! 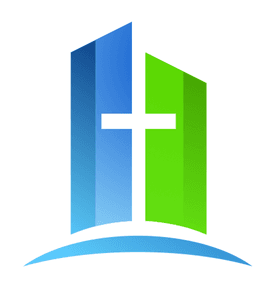 Once you've created a Tithe.ly account and entered your payment method, you can give your offerings to FCCM in just a few short clicks. You can even set up recurring tithing on a schedule of your choosing. If you have any questions about on-line giving, contact us. If you're ready to give via Tithe.ly now, just click on the Give Now button below. Which ever method you choose, your tithes and offerings help us share the gospel and be the hands and feet of Christ in our community and around the world. Give on-line quickly and safely!